My Pinterest is testament to my appreciation of beautifully designed barn conversions. I think living in the Cotswolds only fuels this obsession as there are so many renovated barns on our doorstep. So today I have put together my top list of barn conversion tips including where I look to for inspiration. We are actually fortunate to hold our workshops at The Barn at Upcote, it’s a gorgeous newly renovated barn situated on a farm just outside Withington. The addition of big glass double doors floods this place with natural light, the beauty resided in the ability to combine contemporary design with old exposed beams and brick which act as a homage to the barns history. Barn conversions really allow you to make your mark on a place, making it completely unique, oozing with personality. Often nestled in the countryside the importance of the inclusion of nature in the design and architecture is paramount to making this place belong. Needless to say this does in no way mean the property must adhere to a countryside style. In fact the juxtaposition created by using contemporary styles is one of the many reasons that make these homes so special. The original barn structure is probably really lacking large windows and sources of natural light. Therefore when renovating it’s important to consider large window and door openings to allow for this. As you can see in the image above the addition of glass doors and larger windows allow for the original small window openings to remain acting now as a feature rather than the main source of lights. Also using a wooden frame for the doors and windows really importantly ties the barn in with the outdoors but also with the oak beams and wooden floor inside. Heigh vaulted ceilings are another fantastic feature that must be treated with care and attention. The inclusion of a mezzanine floor or galleried landing are very popular creating eye catching, modern aspects to the space. This also helps to add sections to what is otherwise likely to be a very open plan space. 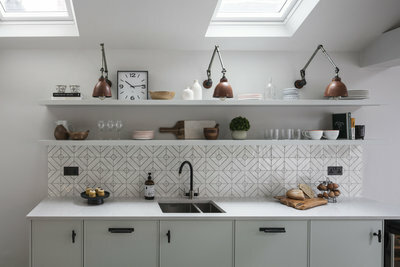 Open plan living is great and I am definitely a big fan of it, but there are definitely some basic guidelines to follow. I am planning on writing a whole blog post with some floor plan examples of how to plan open plan spaces so for now I’ll just share a few tips. Firstly it’s a good idea to create small sections within the space. Perhaps a dining area then to separate seating areas. The best way to do this is to ground the furniture in a given area with a big rug. The sections will feel much more purposeful, this worked really well in this family home. The client wanted a stylish open plan living space with a furniture layout that enabled adult entertaining alongside an area for children. Another key trick with open plan spaces is to ensure that there is a sense of flow throughout the room and property as a whole. A good way to achieve this is to use the same paint colour for the woodwork or the ceilings throughout the house. 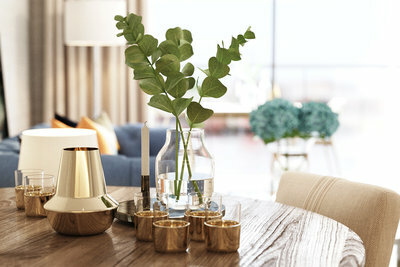 The aim of creating a sense of flow is that when you move through the property there is a feeling of cohesion, without a complete change of style from room to room. I think the real success of a barn conversion lies in the architect or designers ability to create cohesion between the old and the new. The fantastic part about old barns are their strong sense of history and heritage. Whilst it really works to modernise the interior, the key to success is mixing contemporary furniture with the old features, for example leaving old oak beams exposed creating a juxtaposition with glass furniture or mixed metals. My inspiration for this type of design comes from architects McLean Quinlan. Their work is absolutely beautiful, with a portfolio spanning all types of properties from modern and stylish London homes to cosy countryside old properties. When researching for this post it was their Stow-on-the-Wold project that caught my eye. Due to the poor condition of the original conversion the architects had to start from scratch. The complexity of this project lay in the ability to create a new build whilst simultaneously created a house that fitted into the landscape creating the illusion that it is an agricultural building that has stood the test of time. The cohesion of contemporary and traditional was created through the use of simple materials such as Cotswold stone floors and oak beams, doors and ceilings combined with features such as the large modern fireplace and large scale lighting. There is no denying that McLean Quinlan have created here a project that feels modern and new but also that stays true to the fabric of the original building and its surroundings. 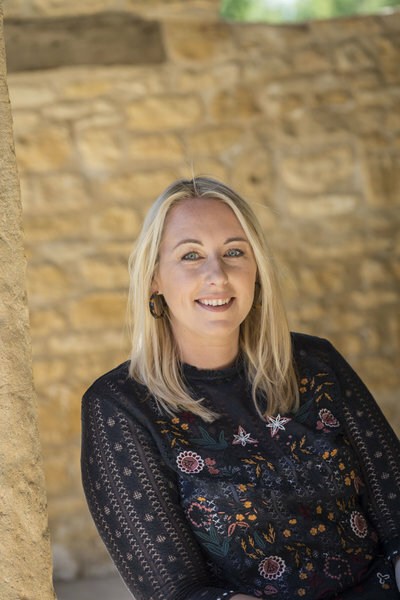 Their is a real essence of mixing the old with the new at Soho Farmhouse, she goes on to describe their styling as mixing “the grit and the glamour, worn but comfortable, like velvet and brick”. This rustic but luxury style is now synonymous with the Soho House brand making their style sought after by many for their own homes. 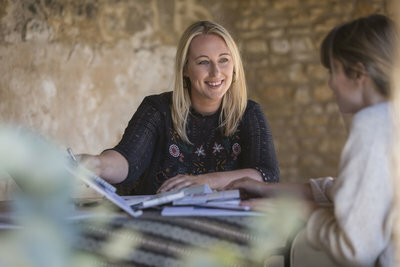 In an interview architect Alex Jackson notes that “we weren’t trying to make it all over-designed, it’s supposed to sit and feel comfortable, like it’s been here forever.” This ability to make Soho Farmhouse blend into its surroundings makes it the perfect countryside retreat in high demand by creatives wanting to flee the big city for some down time. I really hope you found our barn conversion tips useful – I would really love to know if you live in a barn conversion or are currently planning a renovation either by commenting in the section below or come and find me on Instagram. Also if you would like to learn more about my style head on over to our portfolio for our projects.